Access to exercise opportunities promotes physical fitness and increased preventative health options. Public places supporting exercise also promote community involvement and connection, creating safe spaces that allow for neighborhood interaction. 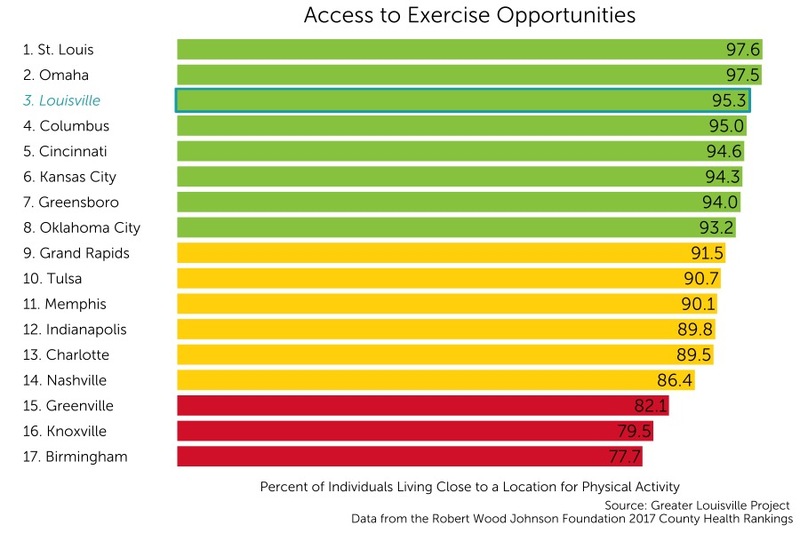 Louisville ranks 3rd among its peer cities in rates of access to exercise opportunities with 95.3% of adults within range of a location for physical activity.